(Updated March 23, 2010) At a time when parents are beginning to question whether they can afford a college education for their children, Hamilton has announced that it will make admission decisions without considering an applicant’s ability to pay. The college already meets the full demonstrated need of every student it accepts and will continue to do so. The new policy at Hamilton, which is known as need-blind admission, is effective with the class currently being admitted for the fall of 2010. 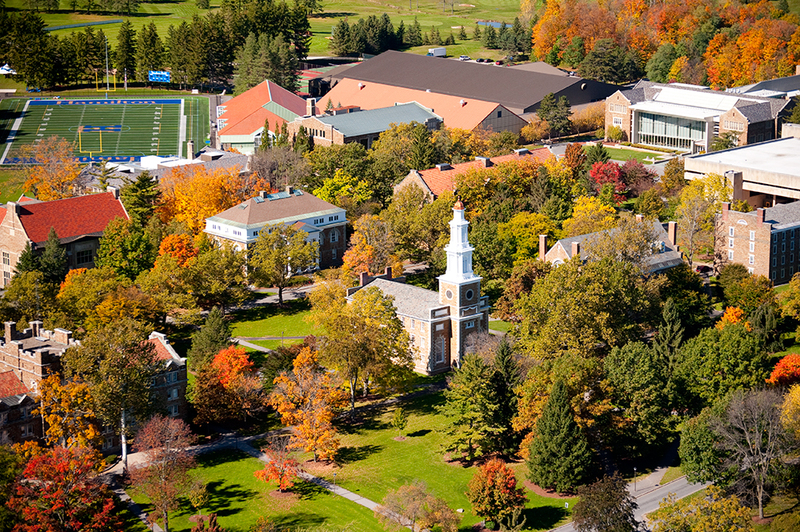 It fulfills a priority identified in the college’s recently adopted Strategic Plan to ensure Hamilton remains attractive in the future to a traditional college-age population that will be more racially, socioeconomically and geographically diverse. Stewart was referring to five $500,000 pledges from trustees at the conclusion of a day-long session in December. The college’s Strategic Plan, adopted by the Board a year ago, had already identified need-blind admission as a “long-term goal,” but the trustees concluded at the December 2009 meeting that Hamilton should accelerate its timetable and five members of the Board pledged the bridge funds to make that happen immediately. Several additional pledges have been received since that meeting, including another $500,000 commitment at the March Board meeting. Hamilton has been moving incrementally for the past decade to make this step possible. Funding for student financial aid has increased nearly 80 percent from $14 million in 1999-2000 to about $25 million today (2009-2010). Similarly, the college has been preparing for the demographic shifts in the traditional college-age cohort by ensuring its continuing appeal to a student population that is racially, geographically and socioeconomically diverse. Most significantly, Hamilton announced in March 2007 that it was eliminating its $1 million merit aid program and reallocating those funds to need-based aid. She said the policy will apply to all applicants except international students and transfers. In recent years, Hamilton has been need-blind in its admission decisions for about 95 percent of the domestic applicants to each class. Inzer said her staff has been experimenting with making its admission decisions need-blind for the past several years and estimates that the annual cost to the college, when the policy is fully implemented, will be at least an additional $2 million in financial aid, but that figure could go higher. She said the December trustee pledges will fund the new policy for the class entering this fall. A soon-to-be announced fund-raising initiative will help sustain the program into the future. Current need-blind colleges and universities that also meet the full demonstrated need of each accepted student include all of the colleges in the Ivy League, Duke, Georgetown and the University of Chicago, and liberal arts colleges such as Amherst, Bowdoin, Middlebury, Wesleyan, Williams, Grinnell, Haverford, Pomona, the University of Richmond, Swarthmore and now Hamilton, among others.